Having trained in the UK, Jonathan Gilchrist has followed in his father’s footsteps as a master Hypnotherapist. 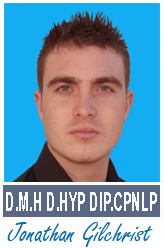 Unlike his father, Alan Gilchrist, who works in Ireland permanently Jonathan is resident and works in Spain and deals with both English and Spanish clientele who wish to take advantage of Jonathan’s unique, and highly effective system – Fast Track Hypnosis. However due to success of his father Alan Gilchrist’s clinics in Northern & Southern Ireland Jonathan will now be holding special ONE day clinics throughout Ulster. Please click here to view the latest venues. A brand of hypnosis, which out-paces the traditional routes, Fast Track Hypnosis leans on its efficiency to help people with the aim of doing so as quickly as possible. In these circumstances, traditional isn’t always best and even though we’re taught from a young age, ‘more haste, less speed,’ in our modern society, we often find that this simply isn’t the answer. Where emotional and psychological issues are concerned, it’s imperative they’re resolved as soon as possible so as to lessen the residual scars. Traditional hypnotherapy can take upwards of twelve weekly sessions to ‘cure’ such problems, psychotherapy can take years! 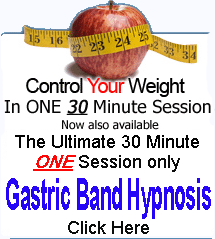 Fast Track Hypnosis can completely free the psyche from its ailments n a very short space of time!. Be it addiction, phobias, depression or even low confidence, it is the key to a new life; one free from the negative effects of mental health issues. Having previously been trained in the slower, traditional roots of hypnotherapy, Jonathan has also studied and used his father’s innovative techniques and now thanks to this, there are now TWO practitioners of Fast Track Hypnosis in the whole world! To some people, hypnotherapy is still pretty ‘out there’, but studies and reports spanning over two decades, prove the efficacy of hypnosis. It’s tried and tested and very much an effective treatment. I think it is no surprise to people now that after 30 years of my father’s work that the Fast-Track Hypnosis is the fastest and most effective method of hypnotherapy so I am very glad to have learnt these techniques! I am now happy to say that due to the success of my Spanish clinics, I have expanded to Ireland. I will be splitting my time through my new clinics in Ireland and my current ones in Spain. 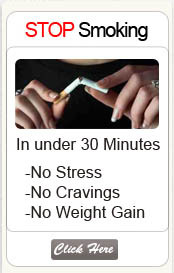 For further information or a FREE initial consultation at one of the Hypnosis and Hypnotherapy Centres . Jonathan will be based at his fathers main office while doing clinics throughout Ireland.